08:30hrs Meet and greet at Iquitos Airport by Jungle Experiences’ staff. 09:00hrs Visit the Manatee Rescue Center en route to Nauta. 12:30hrs Lunch on board. Brief orientation about the journey. 19:00hrs Reception with Live Music on board. 06:00hrs Wake up call 06:30hrs Picnic Breakfast in Pacaya Samiria Natural Reserve. We will explore the Yanayacu of Pucate Basin We will look for a nice spot in middle of the reserve to recharge energies with a healthy breakfast, where some pink dolphins may enrich our panorama, together with blue and yellow macaws, toucans, monkeys such as howler monkeys, monk sakys and more. 11:30hrs Back to the ship and swimming with the pink dolphins. 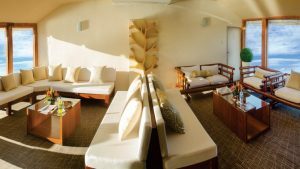 12:30hrs Lunch on board 16:00hrs Shaman Ceremony in San Regis. We will get deep into our former believes and learn some of our ancients secrets of the rainforest. 16:45hrs Tree planting ceremony. 18:00hrs Reception with Live Music on board. 19:30hrs Dinner on board. 21:00hrs Night Boat ride in the jungle of nauta creek into the Pacaya Samiria National Reserve. 09:00hrs Piranha Fishing at San Jose de Zarapanga black water stream named Shiriyacu. Using the traditional equipment and local techniques. 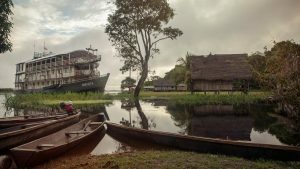 16:00hrs Visit to Prado Kukama Indian village to learn about our former traditions and traditional medicine, we will see how our Amazonians live and share this morning with them. 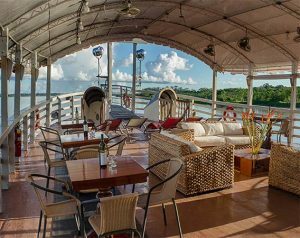 17:30hrs Boat excursion to observe the sunset on the Amazon River; waiting for the nightlife to listen the night fauna symphony. 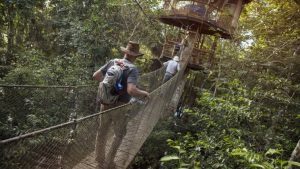 During this excursion we will look for caimans, frogs, tarantulas, snakes and anacondas. 18:30hrs Reception with Live Music on board. 19:30hrs Farewell dinner while the ship sails down to Nauta town. 08:30hrs Check-out and bus transfer from Nauta’s Town to Iquitos. 10:30hrs Brief city tour around Iquitos to see the famous houses dating from the rubber time era, such as Iron House, Belen Market and more. 11:30hrs Arrive to Iquitos Airport to board your outgoing flight. 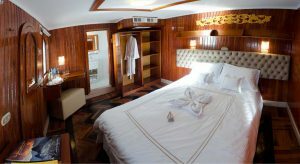 *All meals while on board (arrival day: lunch, dinner, cruise days: all meals, departure day: breakfast) on board the Amatista *All excursions & equipment (including rubber boots & rain ponchos). 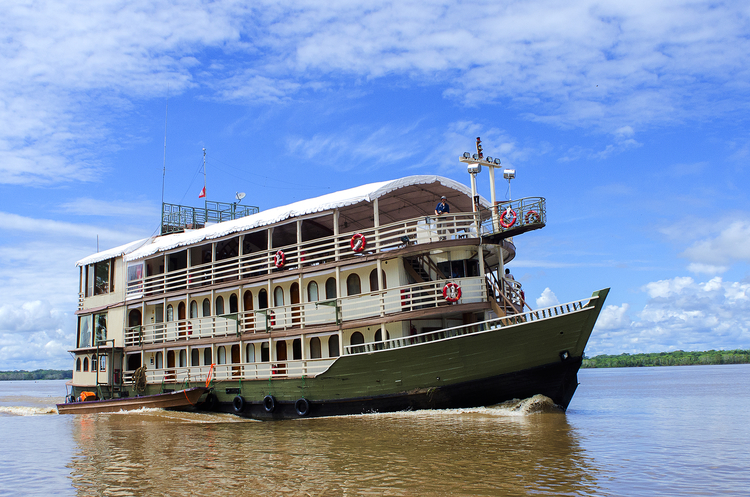 *Transfers to/from vessel when arriving on recommended flights to Iquitos. *Entrance fee to Pacaya Samiria National Reserve. *Cost of medical emergencies (including evacuation). *Tipping guidelines. 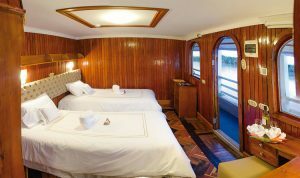 Amatista/ We recommend an amount in the range of US$10 per passenger per night for the crew (to be divided among all the crew members) and between US$5 per passenger per night for the guides. * Please note that these amounts are suggested levels of gratuities and that this is entirely at the discretion of our guests aboard the vessels. *Rates per person based on double occupancy. *Rates are valid from January 1st to December 31st 2014. *Programs and rates are subject to change without prior notice. *Children rates are applicable under 9 years-old when accompanied by one or two adults in the same cabin – maximum 1 per cabin. We do not recommend travel with children under 6 years-old. Regular rate applicable to children over 9 years-old. *Excursions’ schedules may vary depending on weather conditions and wildlifecycle, in order to protect its natural habitat. *Visits to the local villages are carefully planned to avoid a negative impact in their cultural identity. *Additional and private services, as well as interpreters in other languages, available upon request at an extra cost.